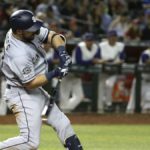 The Padres are in First Place: Smoke and Mirrors or the Real Deal? 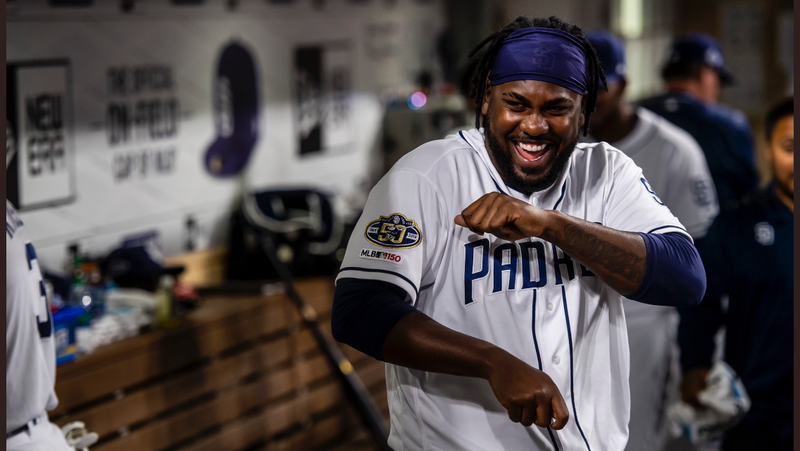 The San Diego Padres are off to a torrid start in 2019. Are they the real deal or is this team due to come back to earth? On Friday, April 12, the San Diego Padres took over first place in the National League West. Yes, you have read that line correctly. Only the Seattle Mariners (13) and the Tampa Bay Rays (10) can boast more wins. For a team that won only 66 games last year, after starting the season at 4-10, this could be considered nothing short of a miracle. The players believe in themselves and their mates. 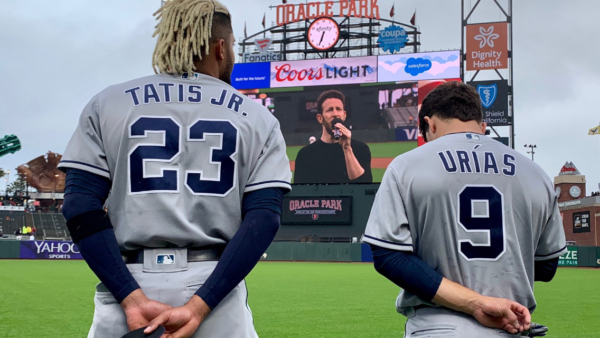 Padres’ fans find themselves wondering if this start means the team can actually compete and even contend in 2019, a year or two before the front office envisioned such a possibility. 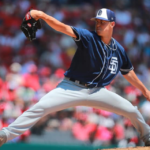 Indeed, as reported by Kevin Acee in the San Diego Union-Tribune, “Padres’ management is monitoring its first-place team…in an effort to determine how real its chances of contending are….” Should the team just wait in the weeds or actively search for a veteran starting pitcher? Or, is this start just a mirage, a combination of the schedule, unsustainable pitching performances and a bit of blind luck? 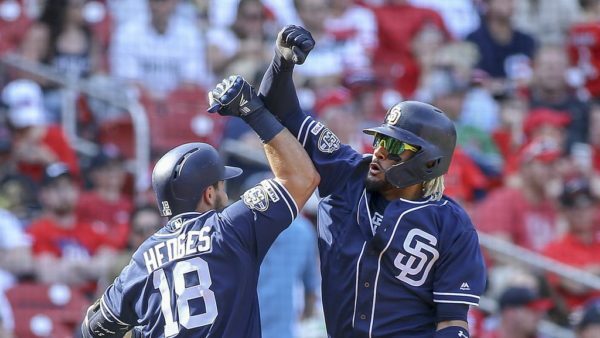 The schedule has certainly favored the Padres, as most of their games have been played within the NLW, a division considered to be one of the weaker. So far, the Padres have faced the San Francisco Giants seven times and the Arizona Diamondbacks four. The team even took two of three from the St. Louis Cardinals, the only opponents outside of the division so far. The performance of the starting pitchers, especially the rookies, has been otherworldly for the most part. After all, they skipped the traditional stops on the way to the big leagues. In his first start for the Padres, Pedro Avila (22) became the third Padre pitcher to win his major league debut. He loaded the bases in the first inning but got out of the jam and gave up only one run in five-and-one-third innings. Avila had made one start in Double-A before his successful debut. Nick Margevicius, also 22, made his first start March 30, the very day he was called up. Before that he played for the Class-A Fort Wayne TinCaps and the Class-A Advanced Lake Elsinore Storm. Margevicius doesn’t rely on a high-octane fastball (topping out at around 91 mph), but the 6’5” lefty shows good command and can rely on his changeup, and, to a lesser extent, a curveball. So far, he has a 1-1 record, an ERA of 1.69 and a WHIP of 0.625. Right-handed Texan Chris Paddack (23) has an even lower ERA of 1.04 in 8.2 innings. Last year he played for San Antonio (AA) and Lake Elsinore (A+). 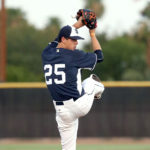 Paddock doesn’t have a win to his credit but pitched well enough in both his starts for the Padres to come out on top. In his debut against the Giants, he lasted five innings, giving up just two hits and one run. Thanks to Avila, Paddack got an extra day off. These young pitchers will need those days off and cannot be counted on to continue this level of performance. Opponents will adjust, as they have to the grizzled veterans of the rotation, Joey Lucchesi and Eric Lauer who are both in their second season. A rotation made up of rookies and second-year veterans will have to be protected for the long-term health of their arms as well as the team’s fortunes. Last year Lucchesi had an 8-9 record with 4.08 ERA, 1.29 WHIP. He started this year with two wins (against the D-Backs and Giants) but he lasted only four innings in his second start against San Francisco and gave up seven runs. Lauer (6-7, 4.34 ERA, 1.54 WHIP last year) pitched six innings in the opener against the Giants and came away with a 2-0 win. Can the Padres rely on the two to increase their innings substantially from Lauer’s 112 and Lucchesi’s 130? Matt Strahm, who had patellar tendon surgery in 2017, will be kept on a short leash as well. In his transition from the bullpen to the starting rotation, he’s pitched 7.2 innings in two games. His 7.04 ERA and 2.217 WHIP do not inspire confidence so far. And what about the bullpen? Closer Kirby Yates and Craig Stammen have already been called upon frequently. 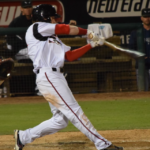 Trey Wingenter got the save in place of Yates Thursday night against the Diamondbacks after Robert Stock and Brad Wieck combined to fritter away a 6-1 lead in the seventh inning. In the past, the bullpen has been dependable year after year. Will that streak continue or will overuse hurt performance? While the infield defense has been solid (for the first time in years), the outfield has been an adventure at best. 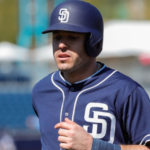 Going into the season, outfield depth seemed assured, with Wil Myers, Hunter Renfroe, Manuel Margot, Franchy Cordero, Franmil Reyes and Travis Jankowski vying for playing time or even spots on the roster. 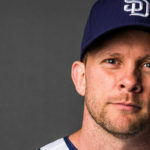 But injuries to both Cordero and Jankowski have reduced manager Andy Green’s options. In the meantime, the defense has suffered. Myers does have a positive 3 DRS (defensive runs saved), but neither Renfroe nor Reyes especially is known for defensive prowess. In the meantime, Reyes has gotten off to a very slow start and is batting .167/.270/.400. The offense in general needs to improve dramatically, as the team has averaged just 3.5 runs a game. The leadoff position continues to be a multiple-choice situation, with no one seizing the opportunity. At the end of this month, the schedule will get much tougher when the Padres face winning teams like the Mariners, Nationals, and Braves. The team hasn’t yet faced the Los Angeles Dodgers, their nemesis for some years. The Dodgers may be a bit of a mess right now, but a team that has made the postseason multiple years in a row is not likely to continue this level of sub-par performance. No matter what happens throughout the season though, Padres fans finally have reason to celebrate with the Padres leading the division. The excitement has been contagious. Let’s just enjoy the ride while it lasts. Baseball has been a part of Diane's life since her father played professionally (mostly at the minor league level). She has written for a number of publications and concentrated on companion animal welfare. She welcomes the opportunity to write about the sport she loves. Diane shares her home with her husband and a house full of rescued animals. I don’t understand the Hosmer dissing, unless it’s due to his salary relative to production. His slash line numbers are low, but he’s played only 15 games of a 162 game season. Even at his current low rate, he’d end up with 75 runs, 85 RBI, 35 doubles, and provide steady, league average defense. Not worth $21 million? Well, no, but it’s not like he’s lousy on the field – he’s doing what you want a first baseman to do defensively, and is reasonably productive with the bat, though you would expect more from the position, especially power. Looking at his production after 15 games played and deciding he’s not getting the job done and something must be done about it might be a bit premature. Most experts look at a team after 40 games – 1/4 of the season – before passing judgement on what kind of team it is. We might want to give Hosmer the same period before judging – and base it on his contribution to the team, not his salary. And last year’s negative WAR? I wouldn’t call it “smoke and mirrors”, the Pads have played some good ball. At the same time, they’ve enjoyed a little “luck”. Pinch “home runs” which have given them a win or two. And, using young pitchers, Margevicius and Avila, talented, but “unknowns” at the major league level, has been somewhat an “advantage” 1st time around the league. Might be different the second time around. The addition of Machado has made a difference, even with his higher than normal “k” rate, hopefully he’ll settle in and play more to his past numbers. 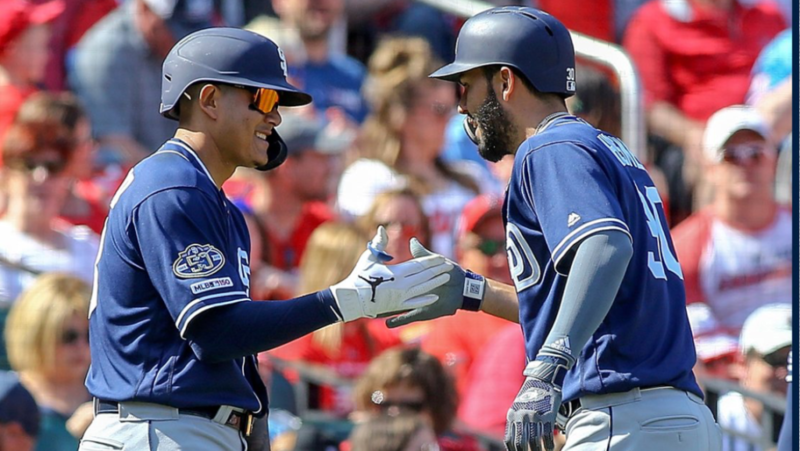 Tatis has been solid, power and clutch hits, but we’ll see how he handles the adjustments which the league makes to him. Urias is still a question. He hasn’t shown the “on base” skills which were hyped so far. Reyes is another question. He’s their clean up hitter, but is hitting under 200. Sophomore Jinx? Yeah, he’s hit into tough luck, but at the same time it could be defensive positioning as well. Plus, he’s still striking out at a high clip. Which is a problem for the team as a whole, Machado, Myers, Reyes, Hedges and Hosmer. So far, that shortcoming has been balanced by opportunistic “long balls”. But not sure it can last. Overall, the team’s improved over last year and that’s good. They’ve won games which they would have loss last year. And they weren’t flukes. But, I doubt they continue at their winning pace. Still, too many unknowns. Playing 500 ball would be a good goal. Stay competitive every game. Improve their team “obp”, improve fundamentals. Well, you hit all the right notes. We’re off to a great start, but it’s been against weak teams. The pitching has been good, but the rookie performances can’t continue and Lauer and Lucchesi have been meh. And Green has already overworked Stammen and Yates. The run differential has been 0, which means we’ve scored exactly as many runs as we’ve given up. This is the epitome of a .500 team, which should be the goal for 2019, after all. 1) Acquire a starting pitcher. This might have to wait until the summer, but for the team to compete this year it’s unrealistic to expect the rookies to carry the load. 2) Trade an OF. Ideally this is done in conjunction with #1. Too many bat-first corner OFs, they should shed one of them. Renfroe may be at his peak value right now, Myers has the bad contract, and Reyes is a DH. 3) Face the Hosmer situation. It’s too small a sample size to say he’s finished, but he’s looked awful. He already has a negative WAR. The team would be better with Myers or Josh Naylor at 1B. If the team is in first place in another 6 weeks, the pressure to bench Hosmer will mount. Start giving playing time to Naylor and/or Myers at 1B now as a way to lay the groundwork for the transition. Unless he improves there really are only 2 options. To keep him and make him a backup or platoon player; or to use the leverage of reducing his playing time to get the player to waive his NTC, and trade him. Could get ugly either way. Just an unfortunate reminder of what a foolish move this signing was. I agree that Hosmer has looked bad so far. But if the Padres are still in first place in six weeks, even with Hosmer doing badly, I don’t think there will be any pressure to bench him. The team would have won during this period and the argument will be not to break up the team chemistry. 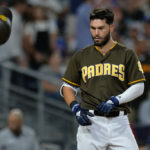 Hosmer would provide strong defense at first, veteran leadership, and a left handed bat, three things the Padres need. When you are trying to win ballgames, you play your best players. A no-hit first baseman should be benched. He can still offer his “leadership” while riding the pine. I agree. Lets enjoy this as long as it remains in such a positive light. The Padres 1st. month of scheduling favors them against weaker opponents and the Dodgers first month is against much tougher opponents so I believe Mr. Preller should pull the trigger on a trade with the Cleveland Indians for Trevor Bauer. Probably four players for one. We currently have a surplus of pitching, catching and outfielder prospects. Possibly one of each and Will Myers would be enough. Will is not a good enough defender outside of 1st. base. If Mr. Preller has more faith in him than most Padre fans, perhaps he should platoon with Hosmer at 1st. base. Hosmer can not hit left handers for a decent enough average. An outfield of Renfroe, Margot and Reyes is above average offensively with Cordero and Janakowski as backups. Soon enough we will be in desperate need of veteran starting pitching. Thanks for reading and for the comments. It sure is more fun to write about a winning team than a losing one. It will be very interesting to see if Hosmer can do his every other year performance. If not, it’s a big problem. If the team continues to perform well especially in the series toward the end of the month, the need for a veteran starting pitcher will become even more compelling.